For those of us who haven’t been counting down the days until Christmas for a whole year, it’s almost officially the start of the countdown to the big day! That is to say, it’s nearly the beginning of advent, and this year we wanted to make sure we had as many advent calendar options as possible for you so the whole family can enjoy advent this year. Plamil’s So Free Advent Calendar is a wonderful dairy free chocolate alternative to regular milk chocolate advent calendars. The chocolate is made with rice milk instead of cows milk, and the ingredients are Fairtrade certified as well as organic, making this one of our top ethical advent calendars. With a festive image of Santa and his elves on the front, this is a great option for vegans or those who have a dairy allergy – no one has to miss out! For those who are trying to cut down their sugar intake, we also have the No Added Sugar Dairy Free Chocolate Advent Calendar from Plamil. 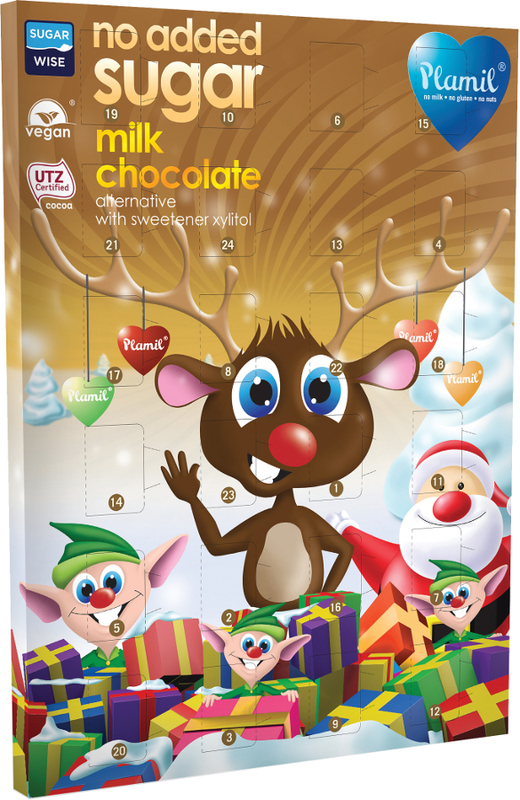 The chocolate in this advent calendar is made with soya instead of any dairy, it is suitable for vegans and it is sweetened with xylitol instead of refined sugar. 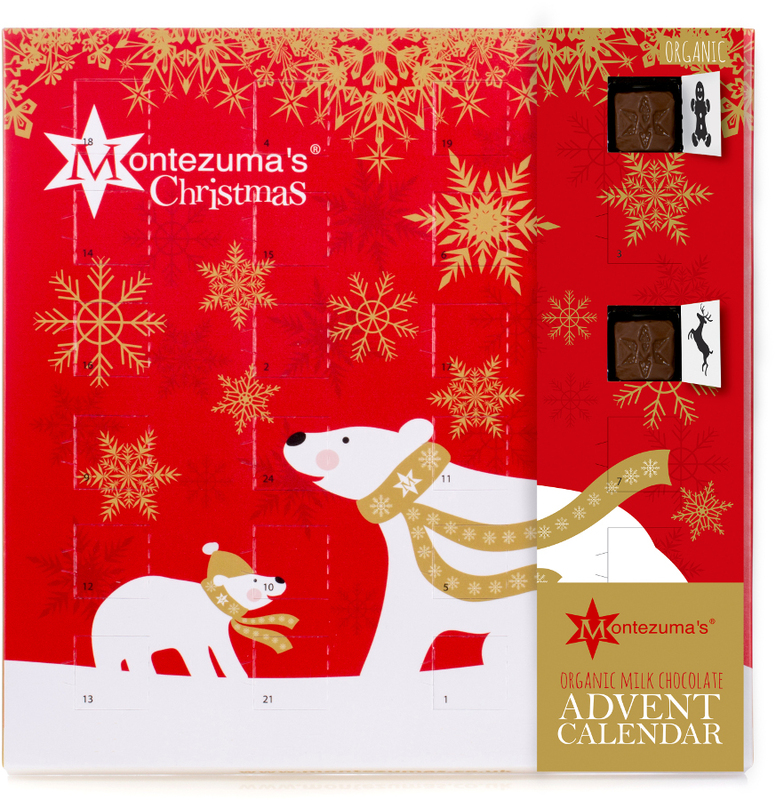 We offer a range fo advent calendars made with organic ingredients, such as the Milk and Dark calendars from Montezuma’s Chocolate, a UK based company that uses high quality chocolate to create delicious sweet treats. 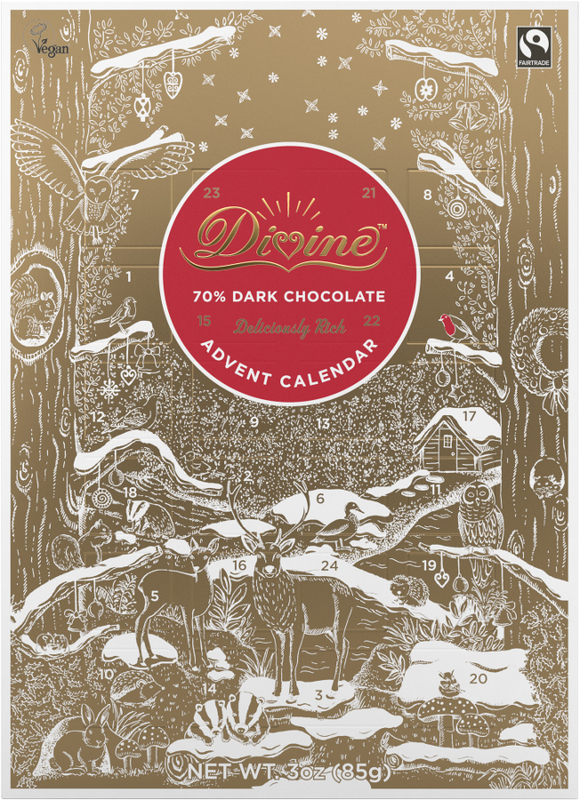 Our most popular Fairtrade advent calendar comes from arguably the most well-known Fairtrade chocolate brand – Divine. With milk chocolate and dark chocolate options available to suit everyone’s tastes – Divine chocolate is free from palm oil too! 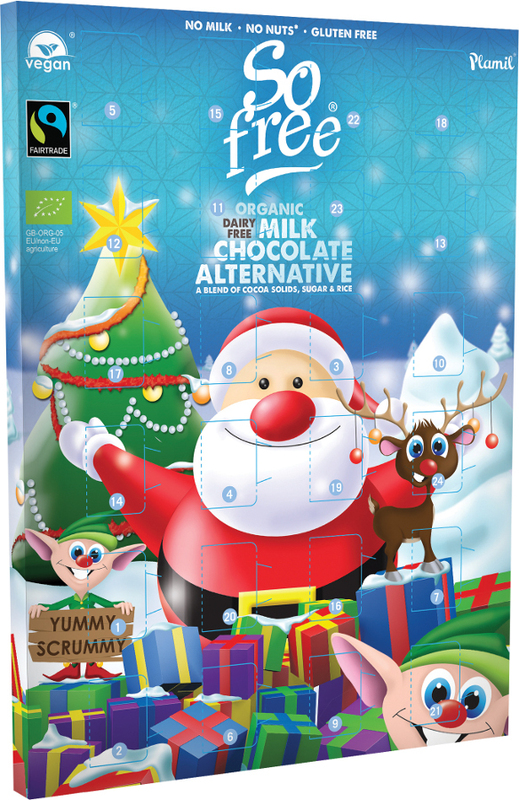 Cocoa Loco also offer Fairtrade certified milk and dark advent calendars which are great for grown ups, with a more sophisticated image on the front. Made with organic ingredients too which makes these a great ethical option in our eyes. 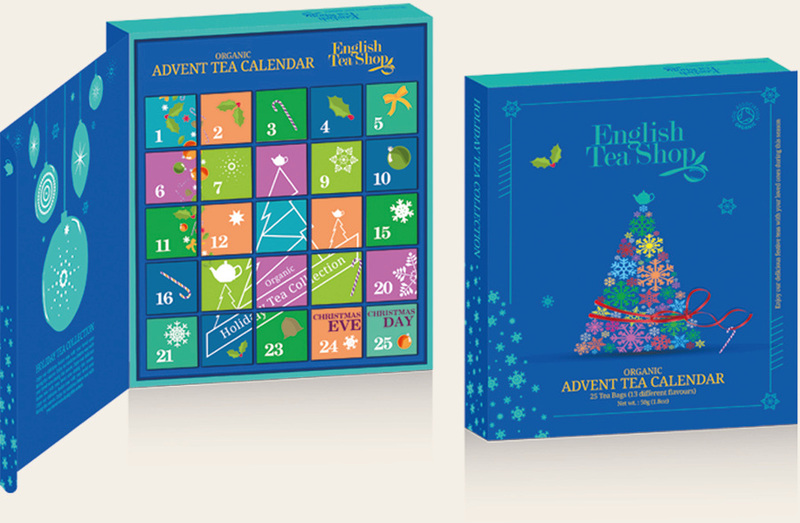 For those who aren’t too fussed about a chocolate advent calendar and would rather have something a bit different, we also offer a tea advent calendar from the English Tea Shop. This book style advent calendar includes 12 different flavours of tea, with one tea bag a day for you to enjoy. The English Tea Shop tea is certified organic by the Soil Association and the flavours included are White Tea Lychee Cocoa, Post Festival Cleanse Me, Chai Immune Boost, Energise Me For Holiday, Unwind Me For The Season, Peppermint Melon, Moroccan Spice, Oolong Lemon Raspberry, Christmas Cake, Coconut Chai, Black Tea With Honey & Melon, White Tea Coconut & Passion Fruit and Candy Cane. 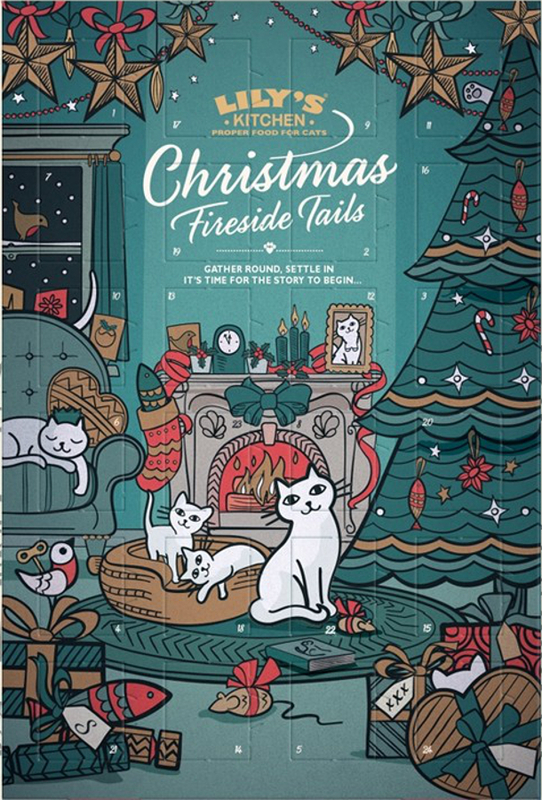 This year we’re also offering an advent calendar that your pet dog or cat can enjoy! Behind every door is a lovely treat so they can count down the days to Christmas with you. 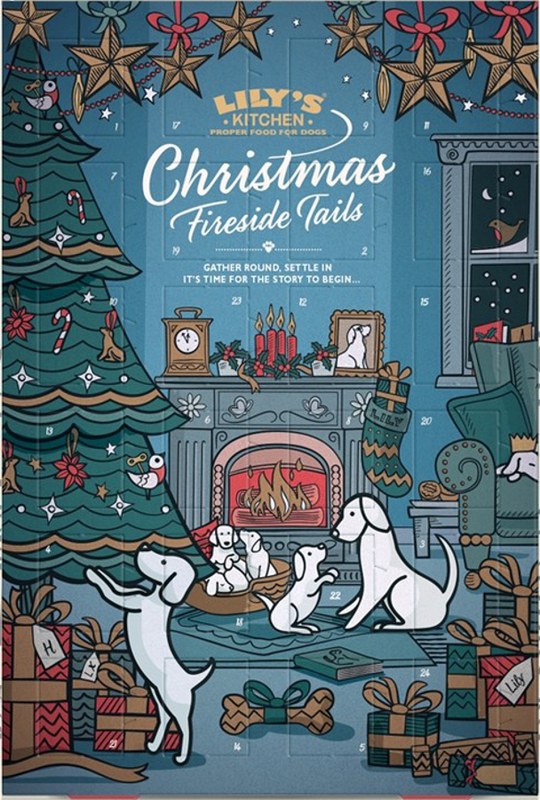 The cat and dog advent calendars from Lily’s Kitchen are handmade in the UK using organic ingredients, so not only are they tasty, they are good for the environment too!